Introducing a revolutionary seamless firm control shapewear collection from Barely There that is designed to lift her rear! Knit-in panels in back lift and shape her rear. 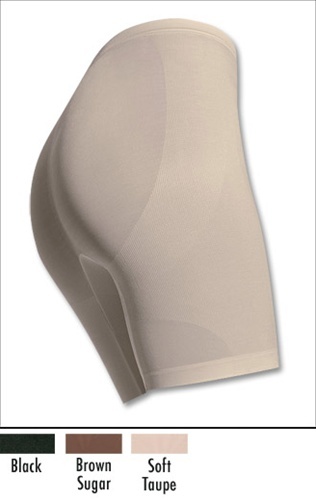 2 firm control silhouettes with graduated seamless shaping. Tummy, waist, and thigh smoothing and slimming. No tags for the ultimate in comfort against the skin."